yep...he's got a can of his favourite beer in hand. 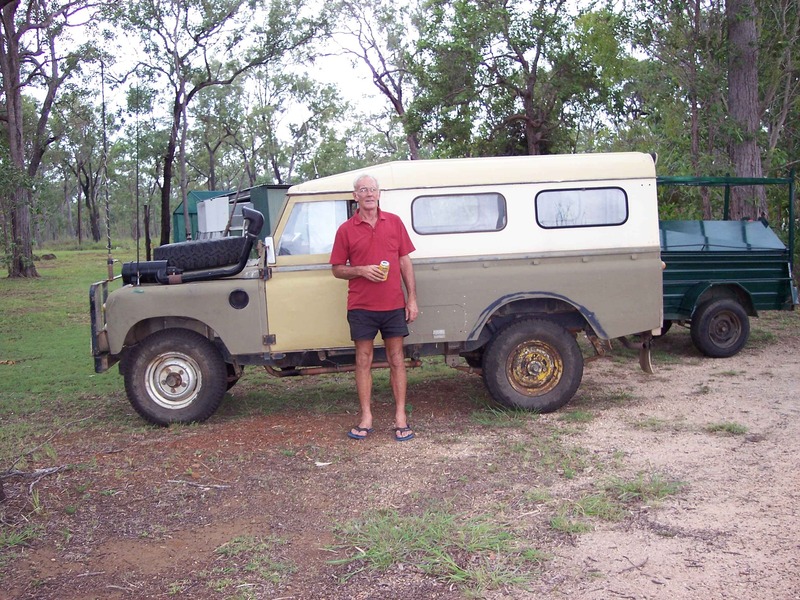 John is a Diesel Fitter by trade but chooses now to drive a truck for a living. Born originally in Tasmania (that's the Island to the south of Australia where the folks there are definately different) and moved up to Queensland years ago. 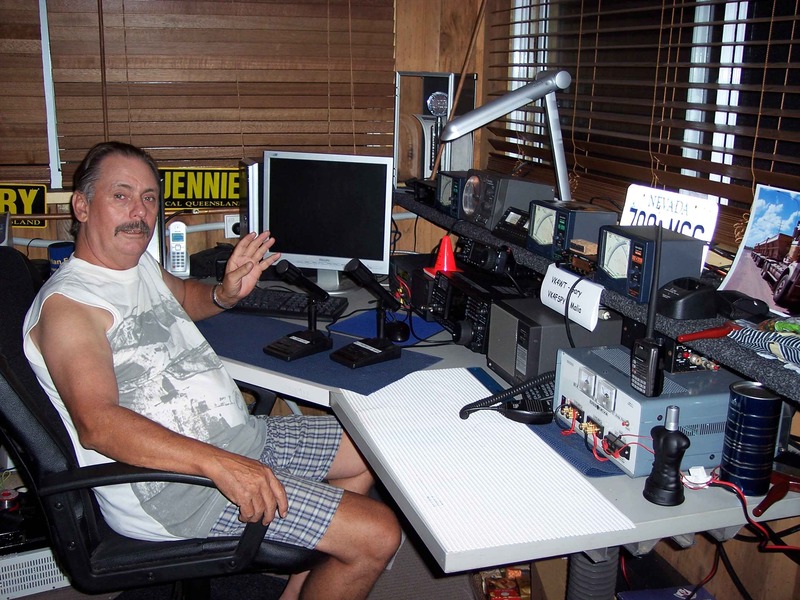 John works mostly Mobile or Portable these days so listen for him on 20M. Runs an IC-7000 with a Codan 9350 Auto-Tune mobile antenna. Bad Audio, QRM, QRN and Flat Beer. Has one on just about everything you can imagine.